Firefly larvae coming on shore for the first time this year. On April 6, it started raining quite hard since that evening while Cherry blossom was almost in full bloom. We found several firefly larvae coming on shore for the first time this year at the brook where we conduct firefly protection activities. 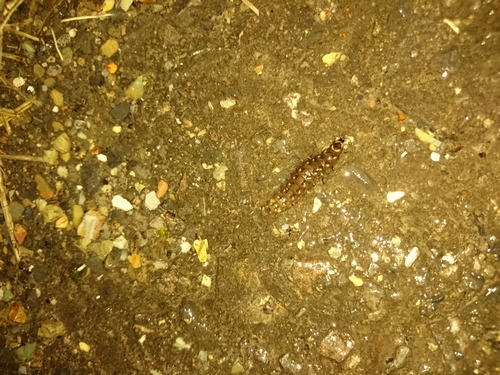 The firefly larvae were moving around and looking for the place where they could pupate. It had been quite chilly, so we did not prepare to take photos of their lights. However, we could observe it as usual again this year. We think we would be able to observe more next time. We are looking forward to seeing many flying fireflies at the end of May again this year.